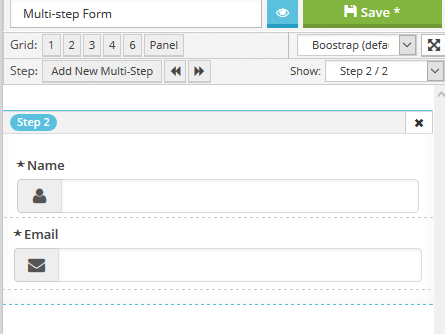 When you have a big form you may want to add the fields into steps. 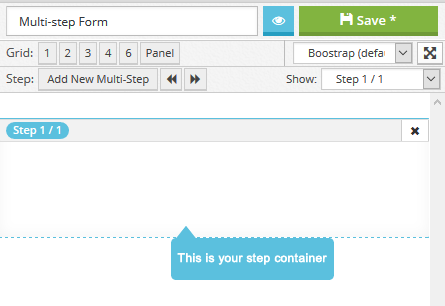 Follow the steps below to create a multi-step form. Note: These are multi-step forms and not multi-page forms. 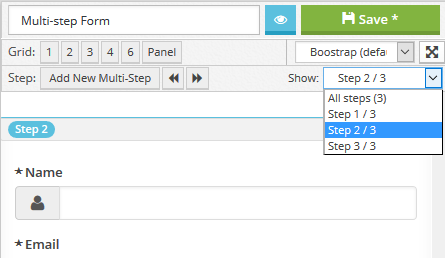 Click on the "Add New Multi-Step" button on your multi-step bar. You will now have an area (a step) to put your fields into. 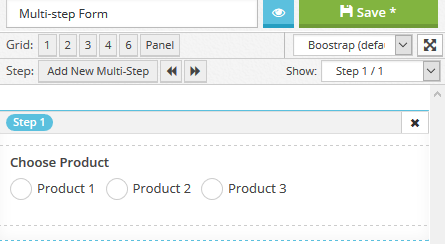 Lets add a radio button for product selection into this step. 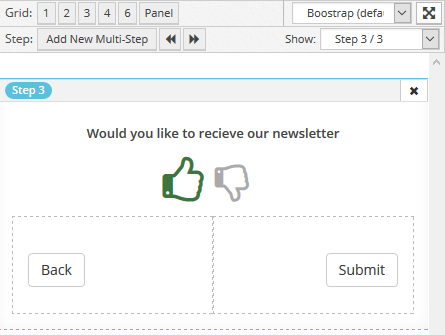 After the user selected we want them to go to the next step so we need to add a next button. 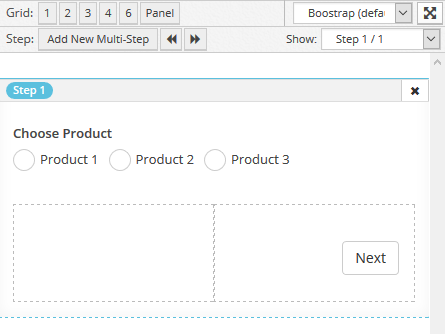 WE like to have a 2 column grid so you can add back buttons to steps. 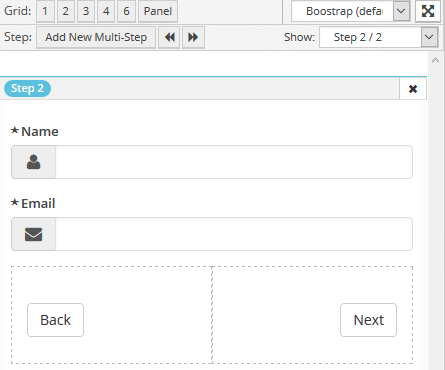 Add a 2 column grid drag your NEXT button into the right column and align the button to be positioned right. Lets add a name and email field into this step into this step. Drag the back step into the left column of to 2 column grid and aling it to be positioned left. 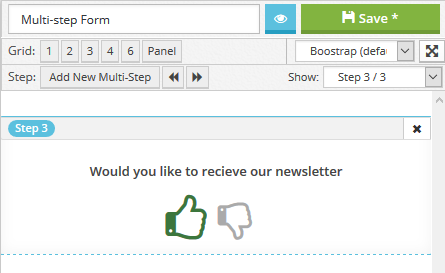 Lets add a thumbs rating into this step and call it "Would you like to recieve our newsletter?" Because this is our last step we need to add a SUBMIT button. We will do the same with submit as with the NEXT button. Done...Hit preview and go through your steps.